During the Vietnam War, there was widespread opposition among US soldiers to the war & they played a central role in mobilizing antiwar sentiment. It was common to see photos of US GIs in Vietnam flashing the peace sign or wearing it as an insignia on their helmets in solidarity with the antiwar movement. The breakdown in military discipline justifiably made the Pentagon sweat bullets about its ability to conduct the war. That’s a proud part of GI antiwar activity. But that history makes this photo even more repugnant. These are two of the tens of thousands of Israeli soldiers lined up in tanks on the Gaza border preparing for what Netanyahu & the Israeli war minister claim will be an extended offensive against Gaza by land, air, & sea. 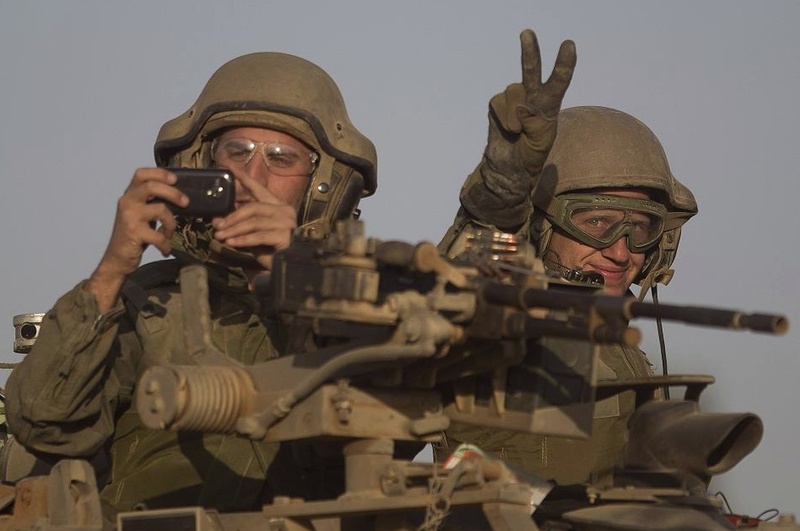 These two guys are preparing for genocide by taking a selfie & flashing a peace sign for ethnic cleansing. Of course, what he’s really doing is flipping the bird to the humanity of Palestinians. Someone recently pointed out that genocide is happening in several countries including Sri Lanka, Burma, Kashmir, & elsewhere, & objected to Palestinians receiving more political attention & solidarity than other peoples. It’s a peculiar complaint because clearly, with Israel embarking on a major escalation of ethnic cleansing, Palestinians are not receiving enough solidarity to restrain genocide. For decades, Palestinian intifada stood alone against Israeli apartheid & they did not retreat against the insuperable odds of US & Israeli military might. Now the boycott movement (BDS) has changed all that & they have allies across the globe willing to stand with them–but still insufficient to restrain genocide. What makes the Palestinian struggle evoke such widespread support is the pivotal role their struggle plays in world politics, especially in the Middle East. The US bankrolls Israeli apartheid with billions of dollars a year. They don’t do that to protect democracy in the Middle East but to maintain tyranny & the Arab uprisings made that absolutely clear. Palestinian courage & intransigence challenge the colonial schemes. 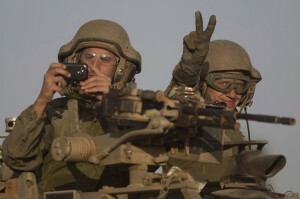 Israel, with US & European backing, is preparing to do in Gaza what was & is being done to suppress the Arab uprisings. We need only look at Egypt to see what they have planned for Gaza & the West Bank. There can never be too much solidarity until justice is achieved. It’s time to mobilize; time to hold forums, speak-outs, rallies defending Palestinian justice & opposing genocide. 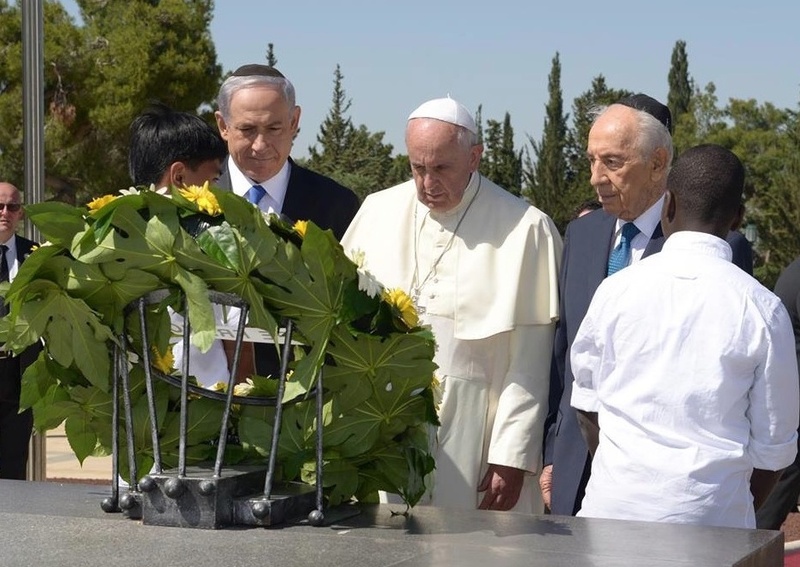 Since symbolic gestures now carry such political weight, what does it signify when Pope Francis lays a wreath on the grave of Theodor Herzl, the ideological founder of Zionism? Herzl is one of the first ideologues of Zionism, an ideology which holds Jews superior, rejects assimilation, & promotes a Jewish-only state which defies all of the democratic achievements of the revolutions that defeated feudalism & installed capitalism–like the separation of church & state. Some claim Zionism is a romantic ideology, ennobling Jews. In fact, it’s a rancid ideology denigrating Judaism & every other human being on the planet. So what exactly is the pope honoring here? Herzl died in Austria but had his corpse moved to Israel for burial. When Palestinian justice is won & there is a democratic secular state where Jews & Arabs can live together as brothers & sisters, they can move his corpse right back to Austria where it belongs.